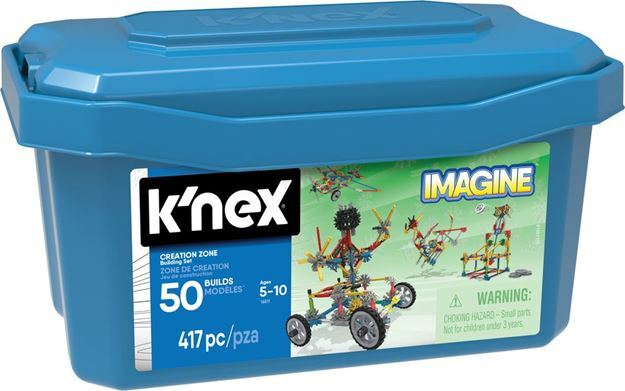 Build beyond and create 'WOW' with the K'Nex Creation Zone Blue 50 Model Building Set. A great starter set for budding builders, it includes easy to follow instructions for 50 unique models. Includes: 417 micro and classic scale K'Nex parts (primarily rods and connectors). Part of the Imagine range. Age 5 - 10 years. Distributed in New Zealand by Holdson.